Conservation easements are voluntary agreements through which landowners limit the use and development of their property to permanently preserve its natural or cultural features for public benefit. These real estate transactions involve a number of steps which include negotiation of terms and restrictions, mapping, title work, and more, and which end with a document that will protect the conservation values of the land. Most conservation easements are placed on privately owned lands. However, there are occasions when public lands may be protected with a conservation easement. Each conservation easement is unique and is individually crafted to reflect the special characteristics of the land and the particular situation of the landowner. 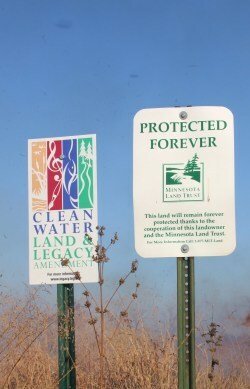 Most conservation easements, including all of those held by the Minnesota Land Trust, are perpetual; they apply to the current owner and all future landowners, permanently protecting the property. Not all land is suitable for protection with a conservation easement. Lands with limited conservation values or situations in which a landowner desires to retain certain rights that would conflict with an easement’s conservation purpose may not warrant a conservation easement. The vast majority of conservation easements are placed on privately owned lands. However, there are occasions when public lands may be protected with a conservation easement. For example, private land encumbered by an easement may be subsequently transferred to a public entity. Or a city may seek permanent protection from development of a particularly sensitive parcel of its own land. What’s it like to have a conservation easement on your land? The restrictions set out in each conservation easement are established to protect the specific conservation values that have been identified on that particular piece of land. Restrictions may apply to all of a landowner’s property or to only a portion of it. Landowners retain the right to use their land for any purpose that is consistent with the easement. A conservation easement restricts certain uses of the land. You retain most rights to the land. The Land Trust also has responsibilities. The Minnesota Land Trust is obligated to annually monitor and enforce the terms of each easement that it holds. If necessary, the Minnesota Land Trust will enforce its rights as set out in the conservation easement. The Land Trust does not otherwise have the right to use the property without the landowner’s permission. A conservation easement is a legal document that is created after an in-depth review process. Depending upon a number of factors, the process and timeline varies and may take anywhere from approximately six months to over a year to complete. Interested landowners complete a questionnaire to help the Land Trust learn more about the property and better understand a landowner’s goals and conservation objectives. Parties may contact the Minnesota Land Trust directly or respond to a request for proposal. The Minnesota Land Trust evaluates the site to determine the property’s natural and scenic values. Oftentimes, the evaluation is done remotely, but it may also involve an on-site visit. The Land Trust also identifies funding to cover costs associated with the project. 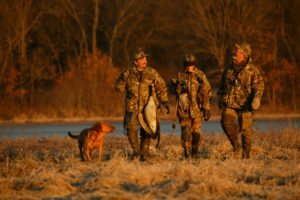 The Minnesota Land Trust obtains maps, title work and other information about the property and the surrounding area. The landowner contacts an attorney to represent them in the conservation easement transaction. If interested in potential federal income tax benefits, the landowner arranges for an appraisal to determine the value of the conservation easement. The Minnesota Land Trust staff prepares a draft conservation easement and a baseline documentation report, including photographs, maps, the property’s history, and the condition of natural features, vegetation, structures and improvements, for review and discussion by the landowner and the landowner’s attorney. If the conservation easement is being purchased by the Minnesota Land Trust, a purchase agreement option is prepared by the Land Trust. Land Trust staff obtains approval of the project by the Land Trust’s Board of Directors. If the project is receiving grant funding, it must be approved by the funding source as well. For projects funded through grants, the Land Trust staff obtains a site-specific habitat management plan for the landowner. This plan provides recommendations and guidance for restoring and managing the ecological communities on the property. 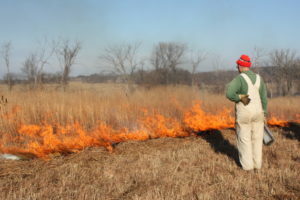 At closing, a final conservation easement and baseline documentation report, as well as other necessary documents are signed by the landowner and the Minnesota Land Trust. In addition, the Land Trust staff ensures the easement documents are then recorded. The Minnesota Land Trust begins its long-term commitment to preserve the conservation values of the land into the future.